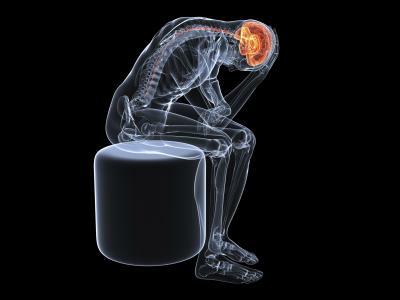 Why mind over matter is impossible. One of the most popular topics at Metaphysics-for-Life.com is "mind over matter" and "how thoughts become things". When I first started writing about metaphysics, I believed, as most of us do, that the mind is a machine with built in systems and processes, analyzing data, and creating results. Kind of like a computer. Years later, as I created online courses about creating A Mind With Heart, I realized this model of the mind doesn't really work. What I discovered, after years of study and practice, is that your mind is actually the space and time for all of the thoughts, feelings, images, and experiences that make up your physical life to exist. In other words, the mind is the container for the 3D holographic images created by your body and brain. That realization leads to the inevitable question: If the mind is not creating your physical reality, then what is? At this point, I need to talk about Quantum Theory and Quantum Physics. According to theoretical quantum physics, space and time are made up of infinite zero points. A zero point is an infinitely small point in time and space, also known as an "event horizon". Each of these zero points emits a torroidal field of energy and information. It is the energy and information from these zero points that the body perceives and the brain uses to create our holographic world in the mind. But where does this energy and information come from? Another theory in quantum physics is that the same particle can exist in multiple points of space and time simultaneously. What IF - and this is just my thoughts - what IF it were possible that each of these infinite zero points are actually the SAME zero point, each one occupying a unique point in time and space (ie. in the mind). If that were true, then each of these "event horizons" would be connected to the SAME SOURCE of energy and information. Perhaps, what we call "God" or "The One". I know that's a lot to take in, but I hope you will bare with me. I bring all of this up because what I really want to talk about is the Zero Point in your Heart. 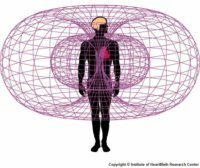 Your heart emits a torroidal field of energy and information. And this field originates in the zero point in your heart. The zero point in your heart occupies a unique point of view within the mind. It connects you to Source, as all zero points do, but it also contains the blueprint of your soul. The blueprint of your soul contains the energy and information that gets transmitted to your body and brain via the heart, and ends up eventually as the 3D holographic image we call the physical world. In other words, it's not mind or matter that creates your reality. It is the heart. Or rather, the energy and information being transmitted by the zero point in your heart. This is SO important, because we spend so much time studying the brain and neuroscience as if it is the cause of what we perceive. And while it is true that the brain ultimately creates the images we experience in the mind, the brain is not the source of these images and experiences. Creating A Mind With Heart is about becoming aware of the role of the heart in creating our life experience. And it's about connecting the head and the heart, so the 3D holographic images created by the brain can be perceived and experienced correctly. This can lead to a life that feels as magical and blessed as life truly is. Mind over matter is not possible, because it is actually matter that creates the mind. In other words, as your brain creates 3D physical experience from the energy and information it receives from the heart, it is also creating the time and space - the mind - for all of that to exist. 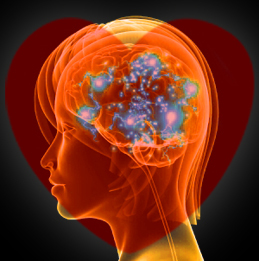 When your brain is connected to your heart, it is like a computer or cell phone connected to the internet. It has access to unlimited amounts of information. If it's not connected, then your brain is like a cell phone with no cell service. You can still access your photos and contacts, but you can't connect. I hope this is starting to paint a picture of just how important our connection to the heart really is. I know there are scientists and philosophers out there who would say there is no proof or evidence for what I say. I say there is. And in future newsletters I hope to share that with you. Thanks for reading this long, and rather complicated, bit of news. I look forward to hearing your comments at the Metaphysics for Life Facebook page.